Portmarnock’s Geoff Lenehan knows exactly why Ireland’s Top 12 world ranked players are missing the 76th edition of the CityNorth Hotel sponsored East of Ireland Amateur Championship at County Louth. 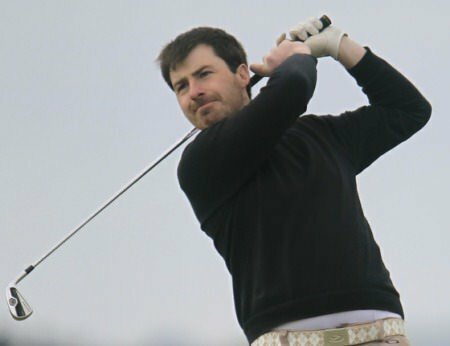 The Munster interprovincial and former Mullingar Scratch Cup winner might be the bookies’ favourite for the classic, 72-hole stroke play event, but he perfectly understands why the top Irish players in the World Amateur Golf Ranking (WAGR) are away at the clashing St Andrews Links Trophy, which began yesterday at the Home of Golf. World No 10 Jack Hume, East of Ireland holder Stuart Grehan, Irish Amateur champion Colm Campbell, internationals Alex Gleeson, Dermot McElroy, Colin Fairweather, John-Ross Galbraith and Robin Dawson as well as West of Ireland winner Jonathan Yates and his Naas clubmate Conor O’Rourke are all in Scotland. “You can’t dismiss St Andrews as a tournament venue,” said Lenehan, who would be there too but for the fact that he took time off work to play the Scotland Amateur Open last week. “And the St Andrews Links Trophy is one of the top 10 amateur events in the world, so if you are eligible to play and you’re playing well and have a chance, you have to go. The Leinster Branch has looked at moving the Category D “East” to a different date that doesn’t clash with a Category A event such as the St Andrews Links Trophy. But they admit there simply isn’t a suitable alternative and might even lose their June Bank Holiday slot if the moved and decided they wanted to go back there again. While the GUI does not send official teams to overseas events that clash with national championships, Irish team captain Tony Goode can understand why his troops are not in County Louth today. It's called WAGR points. “The players want to improve their world ranking and golf is a selfish game,” said Goode, who would clearly prefer to be in Scotland but is prevented from going on official GUI business because of the clash. The positive for Goode is that will get to play close attention to one of his future stars in 17-year old County Louth and Leinster talent Thomas Mulligan as well as Hermitage international Rowan Lester, both of whom are expected to contend over the final 36 holes on Monday. 1330/0830 J Fletcher (Warrenpoint), C McCaughey (Dungannon), C O’Connor (Corrstown). 1430/0930 S Moran (Co. Meath), B McSweeney (Royal Dublin), C Dullaghan (Greenore).